Hello and Happy Saturday Crafters! Are you having a blast at Ally Pally - Alexandra Palace in London? That's Britain's version of our CHA (Craft and Hobby Association Trade Show) in the USA. If you are lucky enough to be there, have a blast and stop by the Creative Expressions booth to meet Sue Wilson and the fabulous CE Team. If not, you can also watch it on Hochanda TV - https://www.hochanda.com/ as there are LIVE shows directly from Ally Pally today too! 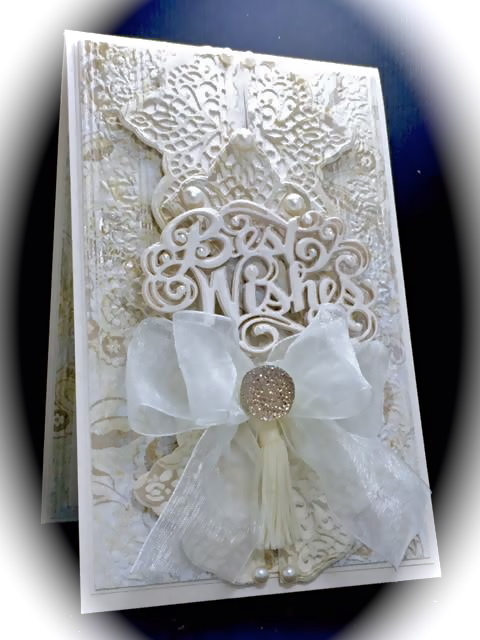 I have this Best Wishes card to share for my CEDT post today! These CE/SW lovely lacey Australian Collection Corner Border and Tag dies layer-up so beautifully. I've arranged them in the center and layered to show off the "Best Wishes" sentiment best. The word is also multi-layered. The background texture is dry embossed with the CE/SW embossing Folder "Floral Stripes". I've topped this off with pearls throughout, A large Bow with tassle, and a CE finishing touches Gold Collection Circle dazzler. Accessories: CE/SW Floral Stripes Embossing Folder, CE finishing touches Gold Collection Circle Dazzler, Ribbons, Half-Pearls, and these Creative Expressions Craft Dies by Sue Wilson; Australian Collection Corner Border and Tag diesand the Best Wishes die from Sue's Expressions collection. Then check-out this great new FACEBOOK GROUP for inspiration! 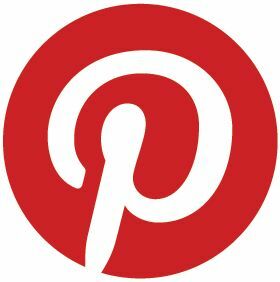 Come join us as we share lots of great tips, ideas, fun makes and latest info on where to find CE/Sue's products ! Thanks for stopping by today! I would love to hear from you! Happy Creating! Can't be at Ally Pally this year, was there last year and thoroughly enjoyed myself. Highlight was meeting Sue Wilson, such a lovely, warm and modest lady - despite her great talents, it's not gone to her head at all. I love your card, didn't get the Australian border, but the Noble one instead. But I'm sure I could use them - hope you don't mind me making a similar card to yours. They do say "Copying is the sincerest form of flattery". Morning America, such a gorgeous, gorgeous card today, you are truly amazing in your creations. Yes I was at Ally Pally yesterday, saw all the CE crew, and managed to get so many bargains, everything on my list of must have's, and much, much more. They really are wonderful people. Saw Sue on the TV show, watched from the side lines, it is wonderful to see how the programmes are made from a TV studio perspective, very interesting. The people on the Hochanda stand were so helpful too. I managed to get the whole set of the new metallic polish, on my word that is amazing stuff, have you tried it yet? Wow this is so beautiful and has a wonderful angelic feel with the all cream.